Olga Merediz on Broadway in "In the Heights"
The In the Heights film may be a year away, but we can breathe knowing that we have a perfect Abuela Claudia. 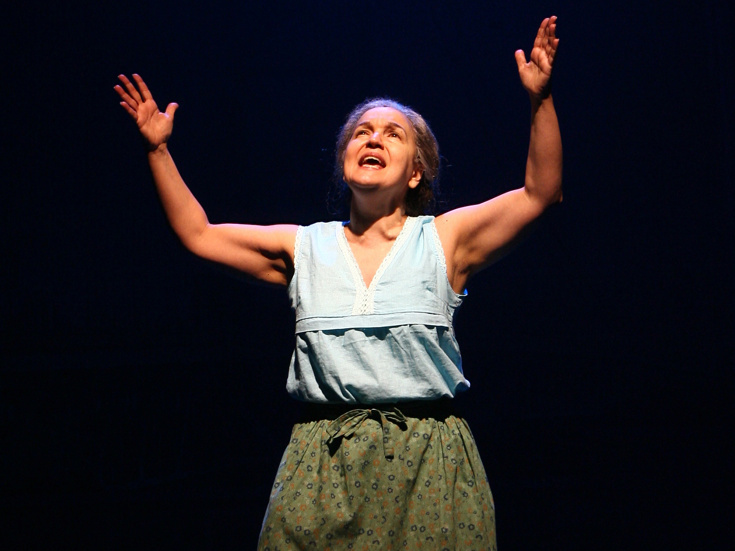 Powerhouse Broadway veteran Olga Merediz, who originated the role on and off-Broadway, has signed on to reprise her Tony-nominated performance on-screen. In addition to her stage turn in In the Heights, Merediz has been seen on Broadway in Mamma Mia!, Reckless, Man of La Mancha, Les Misérables and The Human Comedy. Her screen credits include Brooklyn Nine-Nine, Marvin's Room, The Sunshine Boys and Evita. Also newly announced to join the film is Emmy winner Jimmy Smits (NYPD Blue) as Kevin and Gregory Diaz IV (Carrie Pilby) as Sonny. They join a previously announced slate of stars that includes Anthony Ramos as Usnavi, Tony nominee Corey Hawkins as Benny, Melissa Barrera as Vanessa and Leslie Grace as Nina. Jon M. Chu is the film's director. Featuring the Tony-winning score of Lin-Manuel Miranda and a screenplay adapted by Tony-nominated book writer Quiara Alegría Hudes, In the Heights follows Washington Heights bodega owner Usnavi (Ramos) and the trials and celebrations of his neighborhood of friends and family, including his Abuela Claudia (Merediz). The movie musical is scheduled for release on June 26, 2020.